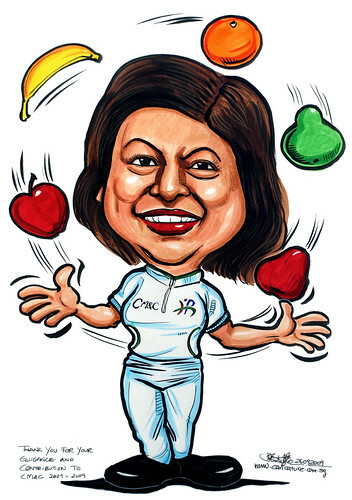 - She needs to wear the HPB t-shirt and be either juggling fruits or exercising. - Please make it as colourful as possible. - If possible, can you draw her with a Christian Dior Handbag and Ferragamo shoes please?" This is really good and it helped me with a project this picture Thanks a heap !